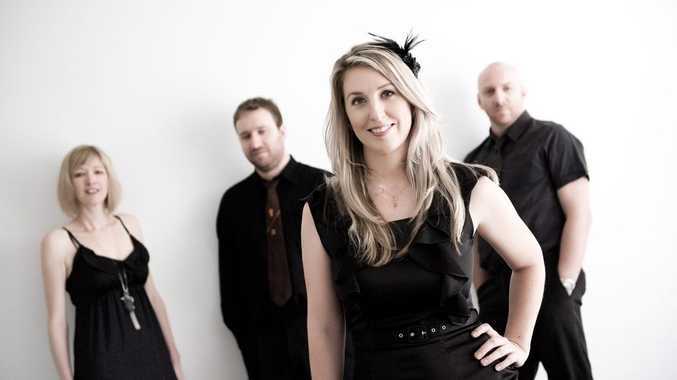 Sarah Colllyer and her band Elegance Jazz will perform will perform at the official Jumpers and Jazz opening tonight at the Warwick Art Gallery. THE launch of the ninth Jumpers and Jazz in July Festival will be held tonight and Warwick Art Gallery director Karina Devine said the event was now sold out. "There are no tickets left at all," Ms Devine said. "The tickets have been available since May." Ms Devine said there was still plenty of events on for people who missed out on tickets to the launch. "There will be plenty of places open (tonight)," she said. "I have had a lot of visitors ring to buy tickets and I just haven't got any left." Ms Devine said the 230 people attending the event were in for a great night. "Sarah Collyer and her band Elegance Jazz from Brisbane will be performing," she said. "I have volunteers coming in (tomorrow) to decorate the gallery and it is going to be very beautiful and pretty." Ms Devine said there would be a bar and plenty of food on offer. "We will also be serving some spicy food which has been generously provided by Lorraine's Breakfast Lunch and Coffee," she said. "The Allora Butchery has also been wonderful." Ms Devine said the winner of the tree jumper competition would be announced at the launch. "The tree jumpers are being judged (today) by Sue Dennis," she said. "She will go around and look at every single tree. "The judging normally takes around three hours." The launch kicks off at 6pm tonight and those with tickets have the option to dress to a 'spice' theme.